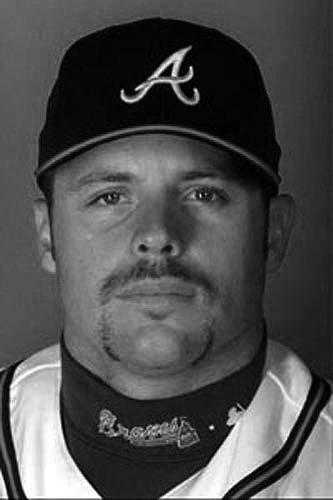 Ryan Klesko played 16 Major League Baseball seasons (1992-2007) with Atlanta, San Diego and San Francisco, belting 278 home runs, 987 RBI, and 1,564 hits during his major league career. 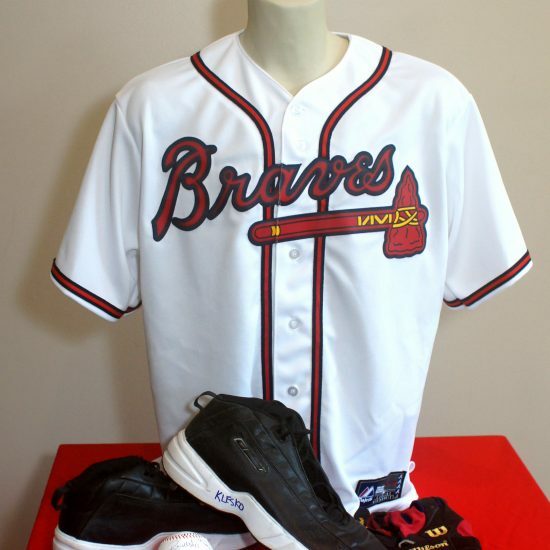 He was an integral part of the Braves World Series Championship team of 1995, as well as two other Braves World Series teams. Named to the 2001 All-Star team in San Diego, Klesko batted .300 or better in four seasons and hit 21 or more home runs in eight seasons. He finished with an impressive .279 career batting average. You can get quickly ensnared delving into Ryan Klesko’s archives. There is so much there. More than you might initially imagine. Let’s see if we have our hands somewhere close to around this guy. He made an All-Star team in 2001, when he played for the San Diego Padres, which wasn’t as big of a deal, perhaps, as the fact he is the only big-leaguer in history to have hit a home run in three consecutive World Series games, which he did in 1995, when he played for the Atlanta Braves and left some serious dents on the Cleveland Indians. You know that he murdered right-hand pitching. Here’s how lethal was that big, left-handed bat: 247 of his 278 career homers were struck against righties. He had a .290 batting average -against opposite-side throwers, and a .920 OPS, which is testimony to quite the mauler when an .800 OPS is often good enough to get you into an All-Star Game. 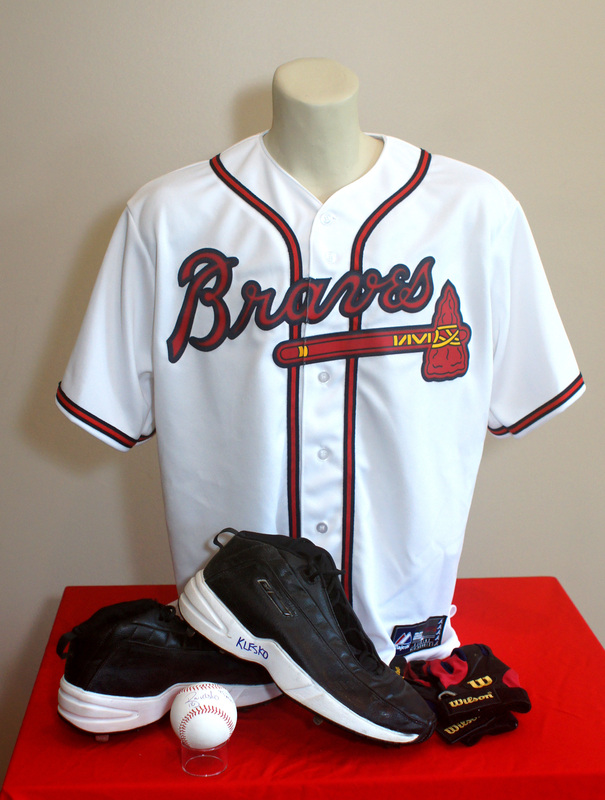 You probably know that he hit as many as 34 home runs in a season (1996, Braves) and in eight seasons hit 21 or more homers. Most students of Klesko understand, as well, that he wasn’t merely a power hitter. He was a hitter, period. He batted .300 in 2002, when he was with the Padres, the same season he had 95 RBIs and 29 homers. The year before, his All-Star Game season? He hit .286, cracked 30 homers, had 113 RBIs and – great trivia stat – stole 23 bases. So, this was a baseball player with serious skills who turned those talents into a career that is nothing short of fascinating when one slips past the fog and sees all that a kid from California achieved in a long professional career. Of course, his mom would have told you decades ago that her son was going to make it, probably as a pitcher. And he almost did. His mom assumed catching gear and caught Ryan in the backyard of their Westminster, Calif., home after Ryan’s dad became disabled in an oil field accident. He was throwing in the 90-mph neighborhood and upward and was good enough to have pitched on the U.S. Junior Olympic team in 1988. A teenager who was headed toward reaching 6-foot-3 and 220 pounds was going to be a very hot draft pick in 1989 until something happened that occurs too many times to skilled young pitchers. Klesko that summer hurt a ligament in his right elbow. The soreness lingered into his senior year of high school. He dropped from first-round consideration to the fifth, where the Braves grabbed him and soon notified him he was too good of a hitter with too bad of an elbow to think any longer about pitching. He was going to become a first baseman. Eighteen months later, he was the No. 3 prospect in all of baseball, as ranked by Baseball America. In September of 1992, three years after he signed, Klesko was in the big leagues. And there he pretty much stayed for the next 18 years, interrupted by a couple of early and brief returns to the minors, and by a nearly full season’s absence in 2006, when shoulder surgery wiped out all but six games. Baseball Prospectus, which researches baseball the way M.I.T. digs into mathematics, also puts into nifty perspective where Ryan Klesko happens to rest on baseball’s continuum. He had a higher career batting average than Joe Morgan, Willie McCovey, Mike Schmidt, and Eddie Mathews. He hit more home runs than Jackie Robinson, Roberto Clemente, and Hack Wilson. He had a higher on-base percentage than George Brett, Kirby Puckett, Robin Yount, and Paul Molitor. He had a higher slugging percentage than Orlando Cepeda, Eddie Murray, Reggie Jackson, and Dave Winfield. He drew more walks than Joe DiMaggio, Ernie Banks, Jim Rice, and Andre Dawson. Of course, there was, and is, a life Ryan Klesko has lived removed from baseball’s stresses. In fact, he would tell you the only thing as good as slamming a home run that helped win a game or a World Series is experiencing a happy deer hunt in a particular parcel of America’s wilderness, or taking in a day on the lake, with fish biting, friends at his side, and nature besotting his senses. He can find his way in an urban environment, as well, particularly if it has to do with his personal charity, Blue Ryno Foundation, which buoys children and their families who are dealing with cancer’s cruelty. Naturally, there is still baseball in his life, as well, on a high-profile level, as he continues to monitor that Braves team for which he played. He does pre-game and post-game analysis on FoxSports South and SportsSouth. And so, baseball, which has never really been absent from his daily routine since even before mom crafted that backyard bullpen, is still being celebrated in the life and work of one Ryan Klesko, a regal new member of the National Polish-American Sports Hall of Fame.